In order to keep a more perfect nation, we the people hereby redeclare our independence. America long living under self-government and the likes of Liberty quite well, have afforded themselves lives quite enviable of most other countries; to such a degree there is often sounds of discord among citizens of distant countries, giving me reason in believing they are more jealous of our Liberty than being discontent with us. I say, it is quite a reason to believe Liberty be of the most valuable of all assets a country could behold. Ah, yes, certainly, sir, it an honor being an American citizen, living happily on the lands of this free country, my Liberty, admittedly oft not thought of as the passing of time be. Most the country finds itself in a rather content state, and not perhaps thinking of what makes them happy; to take notice of Liberty on every second fortnight might well be good, but it is not so. And to what does this constant complacency come to by and by; you only know too well, mankind cannot defend Liberty while slumbering upon a featherbed, and in so doing, corruption slithers in. America suffered while the citizens drunk on freedom slept in their beds of complacency, awakening only to the sounds of the Liberty bell moaning for she was dying; such freedoms so loved taken from us, under the pretense it was for the good of all. 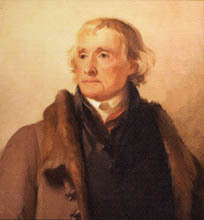 There is commotion amongst the citizens nowadays, some spending time complaining of what they do not have, wondering who will return it for them, making no moves for defending Liberty for themselves, such indolent men; others seem not to be disturbed but are happy with the results of socialism under despotic rule. Then, my dear friend, there are the patriots, many calling themselves the Tea Party, boldly standing up, in the wake of threats and repercussions; firmly and steadfast, taking up the cause in zealous duty. Are we to o late, my friend, I ask of your opinion, the lot of leaders amongst are small; when a wise man comes to our aid, we oft find ourselves disillusioned as he too caves into the enemy’s lure, calling it compromise for the good of the cause. Turning to every degree of thought, I came only to your conclusion, when a free people are so governed by the evils of despotic leaders, what else can mankind do but abolish such forms of governing?I have constructed a ReDeclaration of Independence from your wise words of the Declaration of Independence, and hoping the citizens rise to the occasion, signing it. Ah, but you are right, the people have grown accustom to their complacency, and would suffer the loss of rights, rather than rise to their feet and defend Liberty. Fear not, sir, I shall not let your sacrifices be in vain; for as your generations hence enjoyed Liberty, so too shall my next nine generations. Please do send to me your well wishes and any wisdom on the matter; I shall cherish your thoughts on this regard, taking it with utmost seriousness. It is sometimes the words of other minds that give us the sense we are not alone in our thoughts of America, the land of the free and brave, the bright beacon of hope for the world’s oppressed; we give them hope freedom shall come to their shores, and if they truly need us we shall be there, if not with ranks of men but by our prayer and support. Where else in this world of hatred and abuse does one find opportunity for the pursuit of happiness? We have always been there for the down trodden, there to make a difference in any life, willing to work to achieve that dream. How many came to our shores, with not a penny to their name, some with no names and we opened our doors, gave them hope and freedom; working until their dreams came true, a patch of land, a house, a family; most of all freedom to walk the street, work for pay, and most of all to pray as they wish, attend church on Sunday; freedom never felt so good. I found an article worth sharing, giving you the insight into a man’s thoughts, likened to my own. When others think as you, it’s a message, what you think must be alright. If the majority feel as we do, then what happened to America; perhaps it is that we all feel the same but we are not so brave at telling the world we do, that makes for a larger problem down the road, and we are living the conclusion to generations before us, thinking freedom, but never saying it. Oh, every holiday there was flag waving, that was the custom, wave the flag, see the parade and run for home; tomorrow is another day, a day we complain for the lack of rights, what our President has done but dare not speak out, let another man do your bidding. But time passes and the silence enabled the corruption to grow, oh, what to do; elections bring in another group, no better, maybe worse and the complaints begin again. Socialism evolved, and our rights dwindled down; equality left us and now we are hopelessly lopsided, we were brainwashed to believe certain races and creeds be given special privileges, they were more than equal; to mention equality for all meant you disagreed and a label of racist was put upon your forehead. I believe we have reached our time, where America needs clean house. It is after all our America, our White House, and anyone not for freedom, liberty and equality for all men, need not apply for office; or live within our borders. It is our time to take America back. Enjoy the article below, his words express the majority, he just is saying it for them. W e are created equal! No one of us is better than any of us! That’s the headline proclaimed in 1776 and inscribed across centuries in the truth of the ages. Those inspired words from the Declaration of Independence mock bigotry and anti-Semitism. Then why do I still hear race- and color-haters spewing their poisons? Why do I still flinch at innuendoes of venom and inequality? Why do innocent children still grow up to be despised? Why do haters’ jokes still get big laughs when passed in whispers from scum to scum? You know the ones I mean — the "Some of my best friends are Jewish…" crowd. As for the others, those cross-burning bigots to whom mental slavery is alive and well, I don’t envy their trials in the next world, where their thoughts and words and actions will be judged by a jury of One. 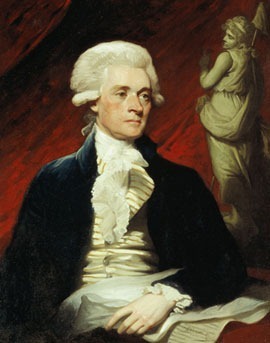 Why do so many among us continue in words and deeds to ignore, insult and challenge the unforgettable words of Thomas Jefferson, who drafted the Declaration of Independence’s promise to every man, woman and child — the self-evident truth that all men are created equal? That’s what the Fourth of July is all about. Not firecrackers. Not getting smashed on the patio sipping toasts to our forefathers. Not picnics and parades or freeways empty because America has the day off. Equality is what our Independence Day is about. Not the flag-wavers who wave it one day a year, but all who carry its message with them wherever they go, who believe in it, who live it enough to die for it — as so many have. OK, I’m a saloon singer, by self-definition. Even my mirror would never accuse me of inventing wisdom. But I do claim enough street smarts to know that hatred is a disease – a disease of the body of freedom, eating its way from the inside out, infecting all who come in contact with it, killing dreams and hopes millions of innocents with words, as surely as if they were bullets. Who in the name of God are there people anyway, the ones who elevate themselves above others? America is an immigrant country. Maybe not you or me, but those whose love made our lives possible, or their parents or grandparents. America was founded by these people, who were fed up with other countries. Those weren’t tourists on the Mayflower — they were your families and mine, following dreams that turned out to be possible dreams. Leaving all they owned, they sailed to America to start over and to forge a new nation of freedom and liberty — a new nation where they would no longer be second-class citizens but first-class Americans. Even now, with all our problems, America is still a dream of oppressed people the world over. Take a minute. Consider what we are doing to each other as we rob friends and strangers of dignity as well as equality. Give a few minutes of fairness to the house we live in, and to all who share it with us from sea to shining sea. For if we don’t come to grips with this killer disease of hatred, of bigotry and racism and anti-Semitism, pretty soon we will destroy from within this blessed country. And what better time than today to examine the conscience of America? As we celebrate our own beginnings, let us offer our thanksgiving to the God who arranged for each of us to live here among His purple mountain majesties, His amber waves of grain. Don’t just lip-sync the words to the song. Think them, live them. "My country ’tis of thee, sweet land of liberty." And when the music fades, think of the guts of Rosa Parks, who by a single act in a single moment changed America as much as anyone who ever lived. I’m no angel. I’ve had my moments. I’ve done a few things in my life of which I’m not too proud, but I have never unloved a human being because of race, creed, or color. And if you think this is a case of he who doth protest too much, you’re wrong. I would live any other way; the Man Upstairs has been much too good to me. Happy Fourth of July. May today be a day of love for all Americans. May this year’s celebration be the day that changes the world forever. May Independence Day, 1991, truly be a glorious holiday as every American lives the self-evident truth that all people are created equal. God shed His grace on thee — on each of thee — in His self-evident love for all of us. The below article by Frank Sinatra appeared in the Opinion-Editorial section of the "Los Angeles Times" on July 4, 1991. Sinatra the entertainer won a number of awards for his anti-discrimination activities including a special Oscar for "The House" I live In," a documentary against racial injustice. A ReDeclaration of Independence is not a light decision; making every man consider the consequences, staying within the quiets of despotism, or stepping out into the turbulent waters keeping Liberty. No one wants for turmoil, or asks of it; the very thought makes a man hesitate but it is the consequence of letting the waters pass, giving way to it for the quiet place where freedom does not exist. You think, so long as you are quiet you are safe, but not so; your time on earth by the convenience of the despotic rule is waged and numbered based on despotic agenda. You are a commodity, with no name, no emotion given you; mind you business and live a little longer, get old and sick, your time meets its end. So you debate, to ReDeclare your Independence; is it right and just or a frivolous move of common day grassroot movements. Do you contemplate life as a simple time, with the ugly world spinning about you, never going to touch you; such ugliness does not touch the common citizens, or does it? History says it does, who are we to argue history or do we and allow it to repeat itself? Our Founding Fathers debated, separate or stay with Britain; separation brought challenges but brought citizens a chance to build a country without the entanglements of government of power over the people, in all they did , thought and felt; staying with Britain never would bring them peace, but always keep them subservient to the King. The latter was easy, with no fight, only lay down and accept it. Freedom was not easy or free, it cost lives, households and holdings. The decision was not easy, they made it nonetheless, because it was the right and just thing; with facts in hand and liberty at heart, they did what was needed for peace and freedom. The Declaration of Independence, signed and delivered, opened the path to our future of freedom. Today we face, not the same grievances, but they are abundant and our government has become a government of rule, far from the simple government of the people given us in the Constitution. The poor document, is abused, ignored and trampled on, making us believe it is not needed; if we love our freedom, it needs picking up. and putting back onto its rightful foundation. Do we ReDeclare our Independence or allow freedom to pass us by with Liberty in the turbulent waters, seeking solace under the rule of despotic rule by our White House? The choice is with the people. It has become the time for all Americans, unite for the right and just cause of saving America. We can no longer go about the business of the day, reacting to the news of the day without deciding we have reached a point of tyrannical overload; bringing us to the decision of ReDeclaring our Independence. We do not make this choice lightly, it is not a matter of a few discontent, but a whole nation of people, who’s silence has broken, and free speech exercised. It is a time for resolve, for all citizens speaking as one; giving notice to all within the powers of government, cease tyrannical rule, abide by the Constitution and allow for the restoration of America begin. We understand the journey to restoration is not an easy one or one taken lightly, but restoration is the right thing for America, citizens of this free nation deserve no less. Too long has the majority been silent, slumbering on beds of complacency while corruption stole their rights, like thieves in the night; today the majority is awake, no longer shall corruption steal away with their rights, citizens with wide open eyes demand full restoration and abolishing of all un-Constitutional laws, enactments, and mandates. We encourage Americans, be involved, become a part of the solution and resolve of America. A most patriotic action is one with a stroke of your hand; signing the ReDeclaration of Independence, a monumental move, for the right cause.